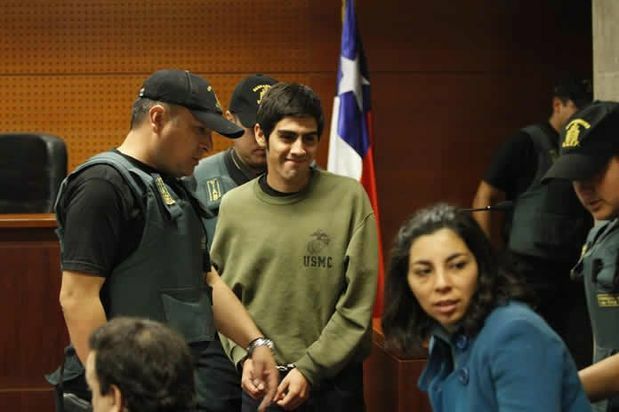 From April 10 to 11, 2013, they carried out the preparation of the oral trial against the compañeros Carla and Ivan, accused under the anti-terrorist law for the attempted placement of an explosive device. Under the accusation they intend to use 25 witnesses, 17 experts, 12 photographic sets, 30 pieces of material evidence, letters, etc. The prosecution intends to include the miserable declarations of Vicente Tureo Arrita, Carla’s ex-partner who decided to testify against her because of vengeful personal spite. During the second and final hearing of the Preparation of the oral trial, the court decided to rule to modify their total house arrest to nightly house arrest.